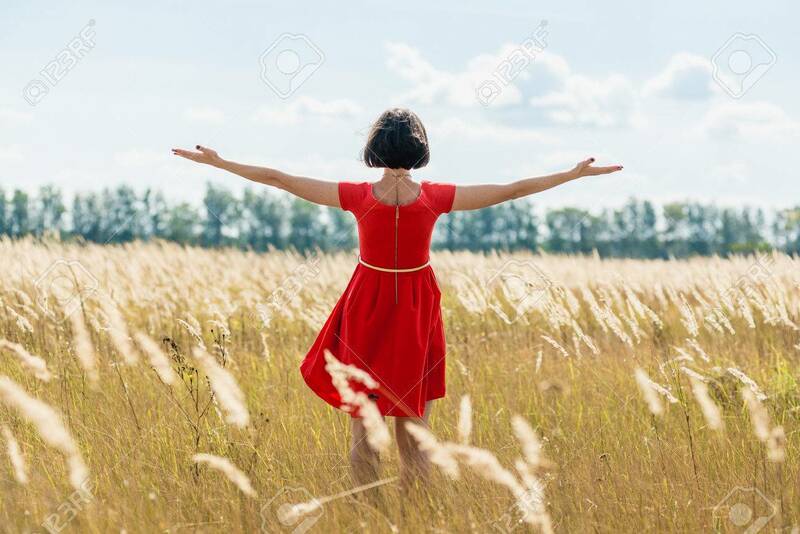 Girl In Red Dress Walking On The Field. Back View Banco De Imagens Royalty Free, Ilustrações, Imagens E Banco De Imagens.. Image 64386527.